OXON HILL, Md. 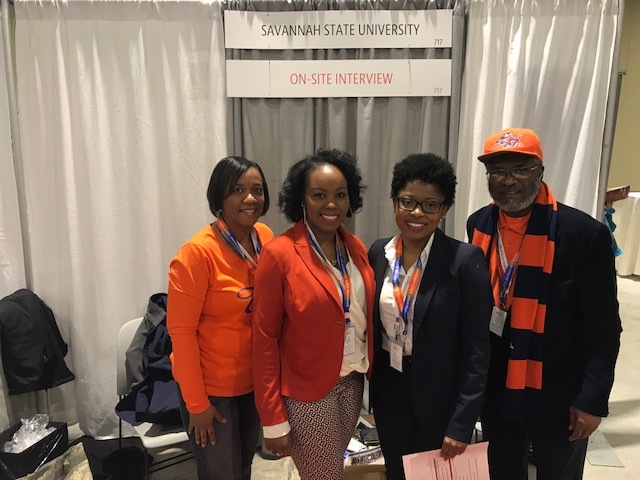 — Members of the Savannah State University National Alumni Association Washington DC Chapter were on hand during the 2018 Alfred Street Baptist Church HBCU College Festival. The Alfred Street Baptist Church HBCU Festival is an annual event designed to expose high school students to the many benefits of higher education and HBCUs. Held on Saturday, February 10, the 2018 HBCU Festival is the 16th annual. This year’s event moved to the Gaylord National Resort & Convention Center in Oxon Hill to accommodate the mover than 70 schools and more than 5,000 attendees. OXON HILL, Md. 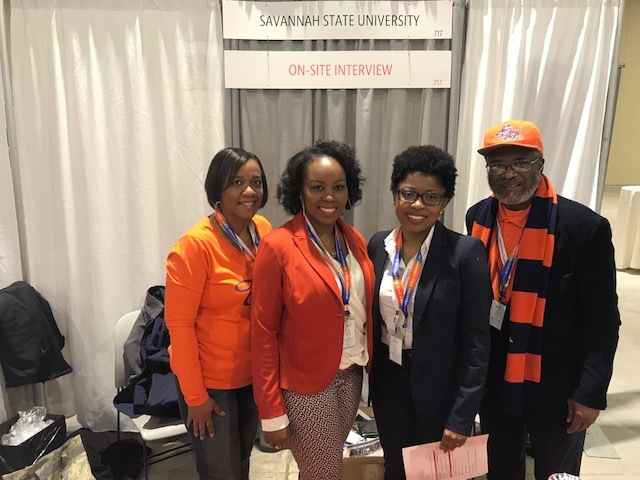 — SSUNAA Washington DC Chapter members were on hand to support the SSU Office of Admissions during the 2018 Alfred Street Baptist Church HBCU Festival. © 2016-17 — All rights reserved. Established in 1957, the SSUNAA Washington DC Chapter provides support for the Savannah State University community in Washington, DC, northern Virginia, and southern Maryland through a variety of networking, social, athletic, and family-friendly events. For information on becoming a member of the District of Columbia Chapter, call Mrs. Zelmar Gordon at (301) 292-4172.